Mark your calendar! Join us Tuesday, May 14 to view The Weight of Water, a harrowing tale of Erik Weihenmayer, a blind kayaker who takes on the Grand Canyon solo. As he maneuvers his way through the dangerous rapids known as Lava Falls, Erik discovers boundaries can be both real and painful. Director and producer Michael Brown will also be in attendance. Dreams & Realities of a Life in Film with MATTHEW GLAVE: A Retrospective + Q&A with Hollywood's versatile actor provides a rare opportunity in an intimate setting with this award-winning actor! Chosen as BEST ACTOR at the Breck Film Fest in September 2018, MATTHEW GLAVE returns for April’s Summit Film Society to share his incredible industry insights! A police officer assigned alarm dispatch duty enters a race against time when he answers an emergency call from a kidnapped woman. “A pulse-pounding, twisty crime thriller that masterfully ratchets up tension with chillingly effective results." Join us as we screen the Oscar Nominated Live Action Shorts Collections on February 26th @ 7pm at the Breckenridge Theater. Join us as we screen Oscar Nominated Animation Short Films on February 12th @ 7pm at the Breckenridge Theater. Join us as we screen the Oscar Nominated Short Documentaries Collections on February 19th @ 7pm at the Breckenridge Theater. Shop for a Cause! Support the Breck Film Fest at the 2018 Shopping Extravaganza! Films have been selected and the schedule is set for 2018! 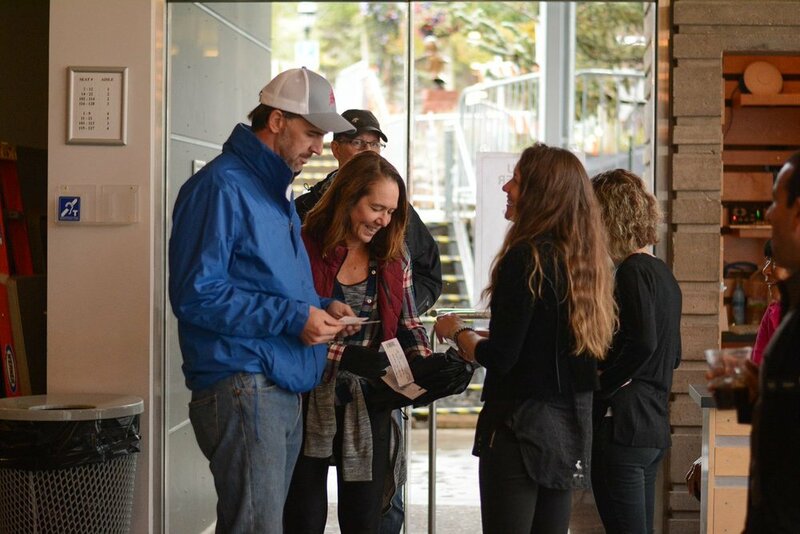 Sign up to volunteer at the festival! Learn all about the different opportunities and get involved at this annual event. Refreshments will be served. Skate, scoot, pedal or ride to the Riverwalk Center lawn for a program packed with inspiring tales from international filmmakers, explorers and athletes. Come see how Ben Knight creates his masterpieces and screen his latest 2019 Oscar Qualifying short Documentary “The Last Honey Hunter”. An outdoor screening of the cult cycling classic American Flyers preceded by activities on the lawn and thematic short films curated by the Breckenridge Film Festival.